Blogging can be a solitary activity. We write, we reply to email, and we moderate and respond to comments alone. Fortunately, that doesn’t mean have to mean we’re all on our own! 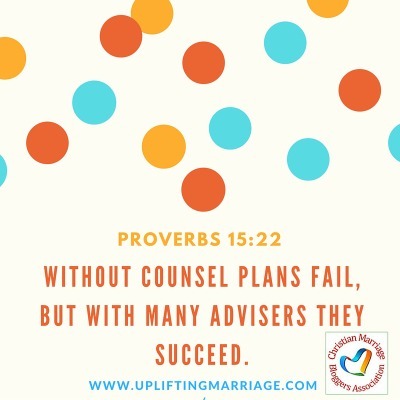 CMBA connects you with other Christian marriage bloggers who can advise, support, counsel, and encourage you. This issue of Marriage Ministry Matters encourages you to think about the power of proofreading and reminds you of our new online community. The following blog has joined CMBA since our last issue. Be sure to visit and share an encouraging word! Is there something you would like to know more about when it comes to your marriage blogging? If you have suggestions or ideas for future newsletter articles, email Chris at chris@forgivenwife.com. If you have a new book or podcast you’d like to share with others, mention it in the comments to encourage others to take a look. Two sets of identical words, but two VERY different meanings. Punctuation matters – don’t be a psycho! I totally agree that we need to make an effort to double and even triple check our work. What you say about professionalism is important. We won’t be taken seriously if our work is sloppy. How many would invite a carpenter in to do work in their house if the carpenter’s portfolio included pictures that looked like the work had been slapped together haphazardly? Probably not very many. Thanks for the reminder, J.
Chris, as always – thank you for your unending work on keeping us all informed!